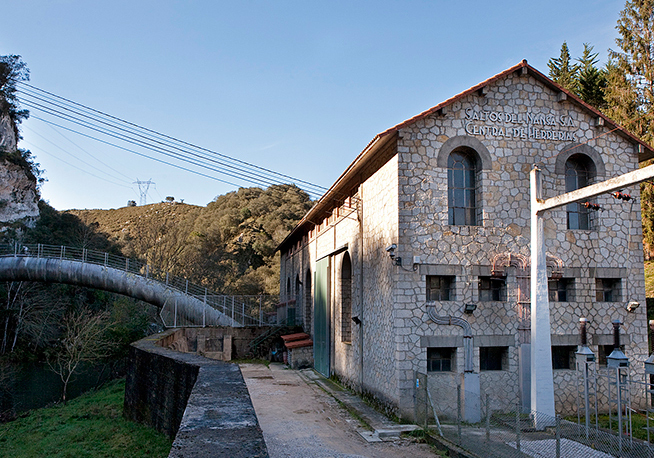 Chain of four hydroelectric plants, which together have a combined capacity of 48.7 MW, capable of supplying clean energy to some 52,000 homes. 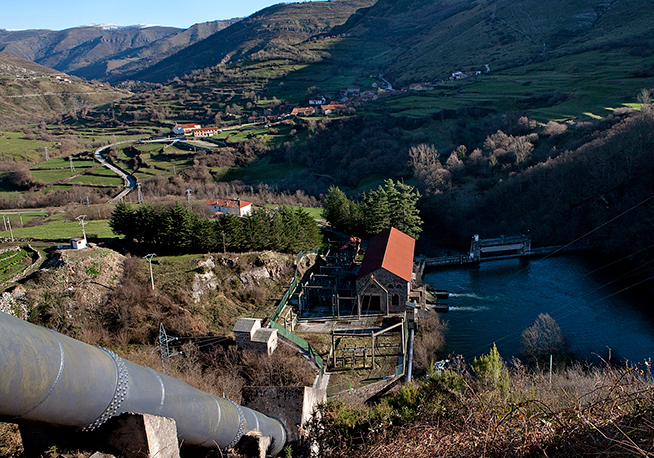 The so-called "Saltos del Nansa" comprise a chain of four sequential hydroelectric plants, with a total capacity of 48.7 MW, including 4 waterfalls. 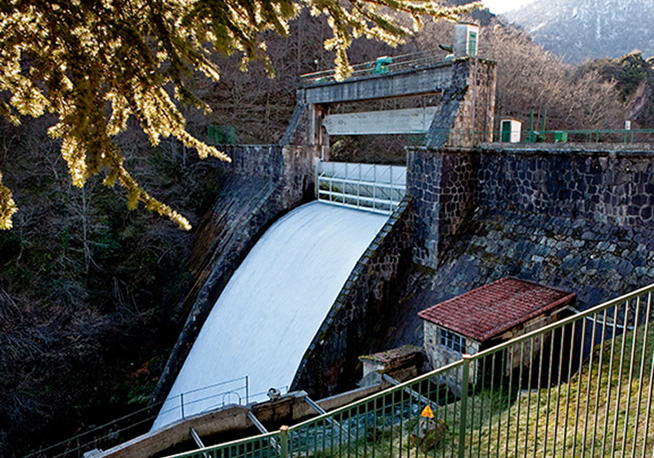 The first of these plants, at the base of the dam, regulates the chain (CH Peña de Bejo), feeding the rest of the plants which are run-of-the-river (CH Rozadio, CH Celis and CH Herrerías). 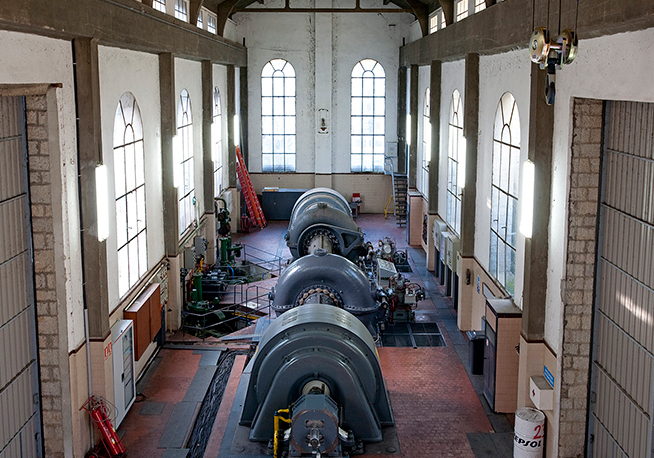 These plants, commissioned between 1945 and 1952, can supply clean energy to some 52,000 homes. 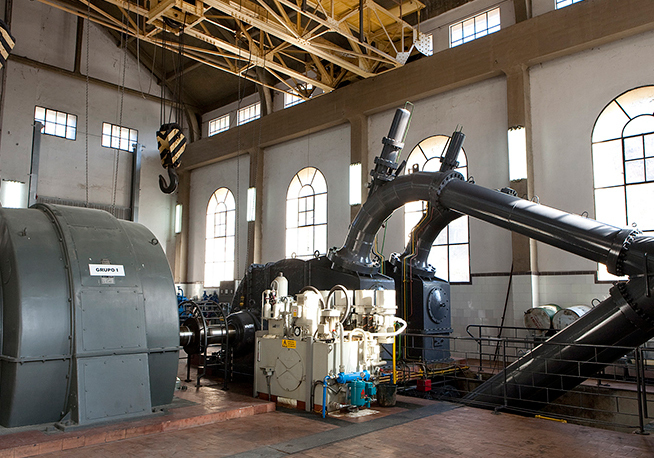 Double-runner, double-injector Pelton turbine. 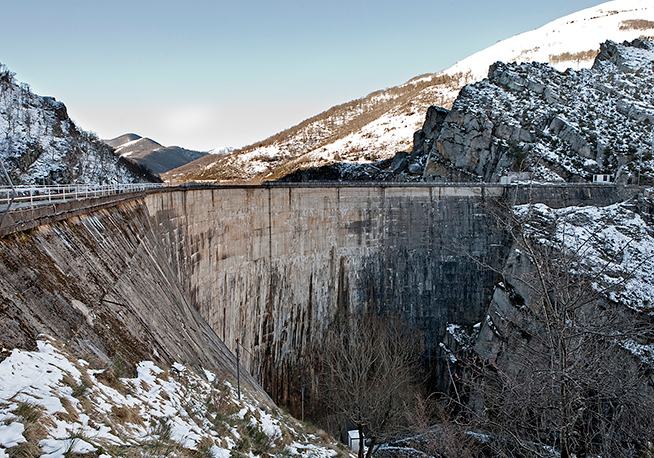 Head: 328 m.
The La Cohilla dam was the highest in Spain and the third highest in Europe when it was built (1950). Hydroelectric dam with a capacity of 67 MW.